Congrats to these Affiliates makingÂ news! Â We were on a hiatus during our Conference season, but we’re back in action highlighting Affiliate-Smithsonian and Affiliate-AffiliateÂ collaborations making headlines. If you have a clipping highlighting a collaboration with the Smithsonian or with a fellow Affiliate you’d like to have considered for the Affiliate blog, please contactÂ Elizabeth Bugbee. We are designing a new display for the effigy that will include loaned effigies from the State Historical Society of North Dakota and the National Museum of the American Indian. It’s a workshop fusing the worlds of art and science. Using software provided by the Harvard-Smithsonian Center for Astrophysics, students will learn about astronomy, remotely control a telescope to take an image of a celestial object, and process the image for visual impact. Students will then use the image as the basis of an art project,” explained Kimberly Hanson, education curator for the Las Cruces Museum of Nature & Science, which is hosting the project. The experience begins in the Johnson-Louis Gateway to Innovation where “Inventing in America,” in collaboration with the U.S. Patent and Trademark Office, displays early patent models, trademarks and inventions of National Inventors Hall of Fame members. 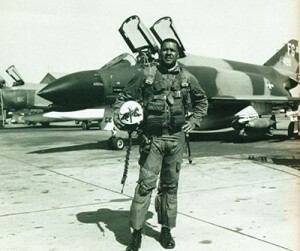 Daniel “Chappie” James, became a flight leader for a fighter squadron at Clark Field in the Philippines in the late 1940s. James flew 101 combat sorties in Korea in P-51 Mustangs and F-80 jets. He also flew in Vietnam and later became a four-star general. Photo courtesy Smithsonian’s National Air and Space Museum. 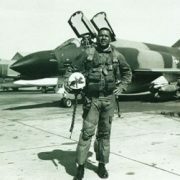 “The Smithsonian’s ‘Black Wings’ exhibit so poignantly tells the stories of the trials and triumphs of some of our country’s most heroic aviators and space pioneers.Â The Air Zoo is honored to bring these extraordinary heroes to life for all our guests from Southwest Michigan and beyond,” said Troy Thrash, president and CEO of the Air Zoo. “This is really the perfect tie-in that really shapes what we’re trying to do at the Air Zoo; really tell these stories about famous aviators and astronauts as well, but also not-so-famous aviators and astronauts, who have done some amazing, remarkable, heroic things that many people don’t know about,” said Air Zoo President and CEO Troy Thrash. This study describes some of the first results to come out of the â€œe-mammalâ€ citizen science project led by the N.C. Museum of Natural Sciences and the Smithsonian Institution. Volunteers set up cameras in their backyards, along trails, in urban forests, and in parks and nature preserves. 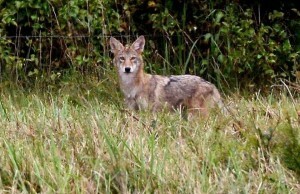 They also helped identify the animals captured in photographs. Eduardo Diaz, the director of the Smithsonian Latino Center, said he could not emphasize enough the importance of this exhibit and its message about the impact the Chicano movement has had on civil rights and justice issues across the nation. Shannon Fitzgerald will be the new director of Orlando’s Mennello Museum of American Art, according to several media reports. https://affiliations.si.edu/wp-content/uploads/2015/07/sites_clippings_blog_image-300x251.jpg 251 300 Elizabeth Bugbee https://affiliations.si.edu/wp-content/uploads/2019/03/si_Affiliations_rgb_single-line_color-280w-1.jpg Elizabeth Bugbee2015-07-28 16:29:452017-03-10 17:50:55Affiliates in the news! Allied Arts announced more than $2.55 million will be distributed to various nonprofit arts organizations during fiscal year 2016. Among the top grantees are Science Museum Oklahoma (Oklahoma City) ($429,220). The Ewing Marion Kauffman Foundation has pledged a three-year, $1 million grant to Union Station, Kansas City, Inc.Â (Kansas City, MO) to help expand the production of Maker Faire Kansas City. National Endowment for the Arts (NEA) announced 69 Our Town awards totaling nearly $5 million through the Our Town program, including $150,000 to the Anchorage MuseumÂ (Anchorage, AK) to support Polar Lab, a creative placemaking and artist engagement project. The U.S. Department of Interior’s National Park Service has announced a $330,000 cooperative agreement to Lowell, Massachusetts, for continued work on a multi-modal transportation improvement project for the Lowell National Historical Park. The federal grants from the Department of Natural Resources including $37,460 to Conner Prairie Interactive History Park (Fishers, IN) to repair and restore the 1823 Conner House at the Conner Prairie Museum. A stingray touch tank and new historical exhibits are part of a planned $2.3 million expansion project at the National Mississippi River Museum & Aquarium (Dubuque, IA). The new attractions are part of the museumâ€™s â€œRiver of Innovationâ€ project, a multi-faceted effort that will strive to connect science and technology with the history and culture of the Mississippi River. The museum was awarded a $468,000 Community Attraction and Tourism Grant through the Vision Iowa program in addition to a $250,000 contribution from the Roy J. Carver Charitable Trust to support the project. The Hubbard Museum of the American West (Ruidoso Downs, NM) has received $7,500 grant from The Hubbard Foundation to support equipment for its interactive exhibits. Dr. Pepper Snapple and national nonprofit KaBOOM! have awarded the Berkshire Museum (Pittsfield, MA) a $13,200 Letâ€™s Play Improvement Grant to use toward the purchase of an Imagination Playground in a Cart, an innovative playground equipment system. PACTV is a bronze winner in the 35th annual Telly Awards for its documentary short titled â€œPaddling Through History.â€ â€œPaddling Through Historyâ€ is a documentary short about the importance of the traditional dugout boat, or mishoon, to the history of the Wampanoag People. This documentary was produced on behalf of the Wampanoag Indigenous Program (WIP) at Plimoth Plantation (Plimoth, MA). Marietta Mullen, Director of Colonial Interpretive Training at Plimoth Plantation was selected to receive the Leadership in History Award of Merit, from the American Association for State and Local History (AASLH) for her exemplary achievement in reviving and preserving the story of Mayflower II. The Irving Arts Centerâ€™s (Irving, TX) executive director Richard Huff has been chosen to receive one of the annual leadership awards of Americans for the Arts, a nonprofit that works to advance the arts and arts education across the country. Richard will receive the Selina Roberts Ottum Award, for outstanding contributions in the local arts agency field. Todd Eric Hawkins has been named the Centerâ€™s new executive director for Richard, who retires on July 31. Amy Hollander has been named new executive director for The National Museum of Industrial HistoryÂ (Bethlehem, PA). Space Center HoustonÂ (Houston, TX) has welcomed Tracy L. Lamm to the newly created position of chief operating officer in the midst of great growth for the nonprofit museum and education foundation. https://affiliations.si.edu/wp-content/uploads/2019/03/si_Affiliations_rgb_single-line_color-280w-1.jpg 0 0 Elizabeth Bugbee https://affiliations.si.edu/wp-content/uploads/2019/03/si_Affiliations_rgb_single-line_color-280w-1.jpg Elizabeth Bugbee2015-07-27 16:57:592015-07-27 16:57:59July-August Kudos to Affiliates! Black Wings: American Dreams of Flight exhibition from the Smithsonian Traveling Exhibition Service opened at the Air Zoo in Portage, 7.4. Dr. Jeremy Kinney of the National Air and Space Museum talks about the role of aeronautic innovation in western Pennsylvania during WWII. Brittany Vernon, Coca Cola/IMLS Museum Studies Apprentice at the National Underground Railroad Freedom Center in Cincinnati spent a three-week externship at the Anacostia Community Museum, helping the education department plan for a teen docent program in Washington, 7.6-7.24. The Ohio History Connection will host a webinar on Early Childhood Programming in the Museum featuring Betsy Bowers of the Smithsonian Early Enrichment Center, in Columbus, 8.5. South Dakota State Historical Society broadcasts Smithsonian webcasts on Space Junk: Fast Trash and Hot Air Balloons and Air PressureÂ in Pierre, 7.21. Dr. Jeremy Kinney, curator at the National Air and Space Museum, will give a public lecture on Innovating for Victory: How Pittsburgh Helped Win WWII lecture at the Heinz History Center in Pittsburgh, 7.25. Measuring 48 feet long and weighing in at 2,500 pounds, the massive predator Titanoboa cerrejonensis is coming to Seattle. Â©2012 SNI/SI Network, LLC. All rights reserved. The Center will also host the annual Pittsburghâ€™s Hidden Treasures: An Antiques Appraisal Show event, featuring Manda Kowalczyk, Preservation Specialist at the National Postal Museum, in Pittsburgh, 8.30. The Long Island Museum opens Beth Levine: The First Lady of Shoes exhibition, featuring Levine’s portrait on loan from the National Portrait Gallery, in Stony Brook, 8.21. The Childrenâ€™s Museum of the Upstate will present Innoskate 2015 in collaboration with the Smithsonianâ€™s Lemelson Center for the Study of Invention and Innovation in Greenville, 8.8. The Chabot Space and Science Center hosts Â¡Descubra! Meet the Science Expert Family Day in collaboration with the Smithsonian Latino Center, in Oakland, 8.22. 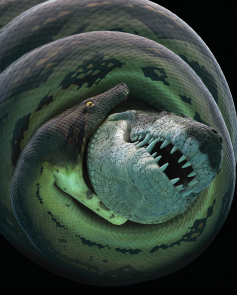 The Burke Museum of Natural History and Culture will open Titanoboa: Monster Snake from the Smithsonian Traveling Exhibition Service in Seattle, 8.22. Mary Savig, curator at the Smithsonianâ€™s Archives of American Art, will serve as a juror for the exhibition Finding our Place: The Geography of Art at the Annmarie Sculpture Garden and Arts Center in Solomons, 8.24. Skaters of all ages can learn innovative techniques at Innoskate in South Carolina.